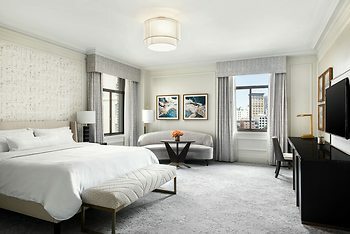 The Westin St. Francis San Francisco on Union Square Hotel, San Francisco, United States of America - Lowest Rate Guaranteed! With a stay at The Westin St. Francis San Francisco on Union Square, you'll be centrally located in San Francisco, within a 5-minute walk of SHN Curran Theatre and Powell and Market Cable Car Turnaround. This 4-star hotel is 0.5 mi (0.8 km) from San Francisco Museum of Modern Art and 0.6 mi (1 km) from Moscone Convention Center. Incidentals were too expensive, i.e., 17.99 to watch a movie.